Local Citation Services Compared | Moz Local vs Yext vs BrightLocal etc. We see a lot of questions in forums and blog comments asking ‘which citation service is best?’ so we thought we’d provide a useful resource that compares six popular citation services and list the pros and cons of each. Those looking to compare, for example, Moz Local pricing and Yext pricing, have come to the right place. Yes, there are many other citation listing services out there, and, yes, if we had more time we’d like to cover them all! But for the sake of efficiency and time I have opted to cover what I see as the most prominent services in the market (apologies to other providers that I have overlooked). It goes without saying that I have included our own Citation Building Service ‘Citation Builder’ in this list. I have tried to remain impartial and give a genuine, unbiased view of each service using the information I have available to me through our own trials (where available), from platform websites, and from feedback from others who have reported back to me after using these services. We will publish all* comments made on this post so that service providers, customers and readers can share their comments and advice as well. This way our readers will get maximum value from this resource. *Caveat: Any comments which are purely self-promotional or link-grabbing will be deleted. Rewind….What are citations and why are they important? Citations (aka local business listings) are a key part of local search optimization. A citation is a mention of your business on a third-party website – typically a local business directory, event site, industry/niche directory or review site. These mentions contain your Business Name, Address and Phone Number (also known together as NAP) but the listing can (and should) contain many more details about your business, like a description of your products or services, business hours, types of payments accepted, images, etc. Having lots of citations that all display the exact same, accurate info about your business can help improve your ranking in local search results. Accuracy and ‘quality’ of your citation listings is considered the most important citation factor — sheer quantity has value but is trumped by quality (see our Expert Citation Survey Results). Keep in mind that not all citation sites are equal in the eyes of Google, Bing and Yahoo! Make sure that you only work with and get listed on quality citation sites. Cleaning up inaccurate data, merging duplicate listings, and creating new listings is a critical part of local search optimization. However, manually going through each site to find, update or add a listing yourself is very repetitive and time-consuming. But there is help at hand! In this post we compare six well-known local listing services and present essential facts that you need to know so that you can select the best service for your needs. Citation service providers go direct to the directories/citations sites they use and update or submit business data to them. This process is either done manually by real people or it’s done via automated means – typically via APIs or data-uploads direct into directory databases. Local Data Aggregators curate data about local businesses and sell or distribute that data to third-party directories, mobile apps, GPS providers, etc. This review is USA-centric, focusing on citation listing services that are available in the USA, but only some are available outside the USA. The US local data market is more evolved and structured than other countries. There are four central data aggregators (Acxiom, InfoUSA, Neustar/Localeze and Factual) that distribute their data out to the wider universe of directories and citation sites. In the overview of each service further down the page I briefly mention which countries they operate in and how big their networks are in each country. This aggregator model doesn’t really exist in other countries, although there are some smaller aggregators and even some directories that re-distribute data to other directories. ‘Factual’ is an international data provider so it has data on businesses in many/most countries. *Whitespark also offer a citation cleanup package for $14-18/listing. 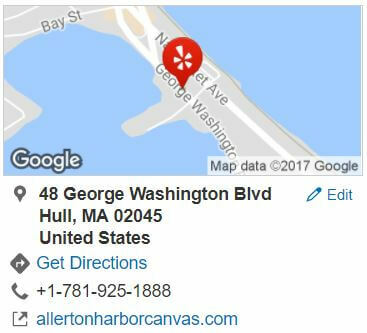 **Advice Local can claim Google My Business listings. ***These services operate on a recurring-payment basis. If you stop paying them your data loses its trusted status so it may be overwritten by data from other unofficial sources. Yext will also remove certain data points from your listings on the directories they supply to and your listings will revert to pre-Yext state. ****Moz Local submits to these sites through a partnership with NavAds. *This comparison focuses solely on USA data aggregator services. Factual is the only aggregator that operates outside of the USA and can be used for businesses in all other countries. BrightLocal has been amazing and has saved me at least a dozen hours building citations! Yext offers a one-stop solution for taking control of approximately 100+ of your online and mobile listings and managing them in one place, through the Yext dashboard. They have a direct pipe (an API) into the directories, mapping services and mobile apps in their network so they can take control of your listings and publish edits, and new and updated listings quickly. As a Yext client, you also get a more prominent listing on some directories (a ‘PowerListing’) that helps you standout from other businesses. Yext products come with an annual, recurring fee, so once you start using them you are meant to maintain your subscription year after year. Cancelling your account has some repercussions (see below). What other countries does Yext work in? *It’s hard to get a definitive price on Yext. They have an advertised price of $500 but most people can secure a discount if they play hard to get and/or have multiple locations. Key question: What happens if you stop using Yext? The Yext data that feeds into their partners’ sites stops after one year (unless you pay for a further 12 months.) Enhanced listing info that was added via Yext (e.g. images, working hours, bios, menus, etc.) will be removed from the listings immediately. Basic listing data (e.g. NAP) can revert to a pre-Yext state because it loses its ‘locked’ (aka trusted) state with each of the directories/services Yext feeds into. Yext has done a decent job of getting the technology side right, although they haven’t (by many accounts*) sorted out how to merge or remove duplicate listings yet. They do charge a lot of money for using their service, and if you stop paying them your listing info can revert to its old state which may be wrong/incomplete**. In this sense I consider them to be the equivalent of PPC for listings – they offer a quick solution to sort your listing data out, but once you stop paying them all the benefits quickly stop. They also don’t submit to many sites considering there are hundreds of citation sites in the US. Many of the services within Yext’s network have questionable value – e.g. GPS providers which are not relevant for many business types and can’t be crawled by Google so they have limited local SEO value. So you pay to get listed on 100+ sites but many of them don’t add much value to your local listing profile. Those looking for a Yext alternative could consider using Moz Local. Moz Local provides a service focused on distributing data via aggregators. They allow you to update or submit listing details to the big four aggregators + five directories directly. You can run a useful listing audit on their service to see where you do and don’t have listings and you can see where that data is complete, incomplete or even duplicated. You can upload a CSV of your listing data (for one or many locations) and then submit this data to their network for a charge of $99 per year. Moz connects directly to Google My Business so you can pull in your data from there and also push data updates in Google My Business. Moz Local also offer listing distribution in the UK. They submit via Thomson Local which gets your data on seven sites and a network of local newspaper sites. In reality this aggregator doesn’t have such extensive networks as the US aggregators do (not Moz’s fault, just the way the UK market is.) The UK cost is £99/year. *This issue is not of Moz’s making – this is an aggregator issue and is a flaw in an aggregator-only approach to listings management. Key question: What happens if I stop using Moz Local? The team behind Moz Local have excellent pedigree in understanding the local market and developing strong SaaS tools. Moz Local is a useful tool for checking listing status and for managing submissions to aggregators at relatively low cost – although not as low a cost as BrightLocal. The downsides are that listings are not claimed on each site, which means other people can claim your listings instead of you. Data can also revert if the feed into aggregators isn’t paid annually. And there can be long lead times for the data to go live on some sites and have an impact in Google (2-3 months). Many local business owners are too impatient to wait this long and agencies need to show results sooner to keep clients happy. We've been blown away by the service and results we've received by using Citation Builder for our clients. I've been very satisfied with them as a company, and would highly recommend them! More than 3,000 SEO agencies trust BrightLocal with their local citation management. We have an in-house team of over 80 submission agents and managers that currently handle 60,000+ citation submissions every month. We offer a hybrid solution that combines manual, direct-to-site submissions and/or automated distribution via local data aggregators. Users have total flexibility in choosing which route they want to take – direct submissions, aggregator submissions or both. Users can also also select the number of sites and which sites we update or submit to. This flexibility suits customers who know what they want but can be complicated for customers who are less knowledgeable and want simple prepackaged options. Out manual submission service operates in 10 countries including US, Canada, UK and Australia. *This issue is not of BrightLocal’s making – this is an aggregator issue and is a flaw in an aggregator-only approach to listings management. Key Question: What happens if I stop using BrightLocal? As 90% of our submissions are direct to site rather than into aggregators, the majority of listings are claimed and ‘owned’ by the customer so data remains intact in the future. But for any aggregator listings, after one year the feeds from aggregators into third-party sites lose their ‘managed’ status. We advise customers to renew their submissions to aggregators every 12 months to maintain the trusted data status – this renewal can be done directly or via BrightLocal for $60. I can’t really provide an opinion of BrightLocal without it being biased. So all I’ll say is that we have completed over 600,000 submissions for more than 30,000 businesses and have lots of repeat customers. We have a big enough team to deliver citations at scale but also maintain focus on quality of citations delivered. What countries does BrightLocal work in? The majority of info and reviews on BrightLocal are about our tools and reports, not about Citation Builder. So we haven’t included these because they’re not relevant to this study. Whitespark is a well-known software and citation services provider based in Canada. They run a full suite of software including the Whitespark Citation Finder (also known as the Local Citation Finder), Local Rank Tracker, Reputation Builder, and offer some other free tools as well. They offer citation building services in 11 countries and operate like a citation service provider. They offer bespoke citation research and citation clean-up based on the specific client/location they work on. They partner with a third-party business, OptiLocal, to deliver citations. There are no recurring aggregator fees. They claim existing listings and go through the phone verification process. Key Question: What happens if I stop using Whitespark? Whitespark does a lot of direct-to-site submissions. Therefore any direct listings with claimed profiles remain intact and ‘’owned’ by customer. The team at Whitespark have great local knowledge, good reputations and know the citation market well. They provide good customer service which is what some local businesses want and need. They cater to agencies and enterprise businesses. They charge more per submission than other services (e.g. 25-40% more than BrightLocal). Founded in 2014 and based in India, Synup offers both local search reporting and local listing management, although their primary focus and billing structure is focused is on local listings. They automatically submit to 69 sites in their network. Most of their sites are US-centric – although some sites, like Facebook, Google Local, and Factual, are international. Their reporting covers local listings, business reviews and search rankings. They primarily work with SMBs but do offer white-label services and reporting to SEO agencies. Of all the services reviewed, Synup is the one I know least about. I believe that they target SMBs/local businesses more than agencies. At $360/year (12 x $30) they aren’t the cheapest solution available but you do get reporting and local listing updates for this amount. I did try their local submission service back in 2012 and it wasn’t good but they have developed a lot since then so may be much better now. Certainly their dashboard and website look much better than earlier versions. BrightLocal is by far the best Local SEO tool and citation building service we have ever used! Advice Local is a specialist local listing service that provides submission services in the USA. They typically work with SEO agencies and through channel partners and re-sellers – i.e. not with local businesses directly. They provide both local search reporting (e.g. rankings, listings audit, review audit) as well as a blend of data aggregator submissions and direct to site submissions. They offer a range of submission packages from $390/year which include distribution via aggregators, direct submission to top 35 directories and reputation monitoring reports. *This issue is not of Advice Local’s making – this is an aggregator issue and is a flaw in an aggregator focused approach to listings. Key question: What happens if I stop using Advice Local? After one year the feeds from aggregators into third-party sites lose their ‘managed’ status. Listings with Acxiom and Localeze revert to status prior to using Advice Local. Any direct-to-site listings with claimed profiles remain intact and ‘owned’ by customer. Advice Local has been around for a long time and has a solid reputation. They really focus on local listing management and serving SMBs via channel partners and agencies. Their pricing is economical at lower package levels but expensive at the top end, and I question the value. They have developed some vertical (aka ‘niche’) submission packages for five industries – Legal, Healthcare, Home Services, Financial Services and Restaurants. There are roughly 5-6 sites in each category and cost $99 + $20/month ($339/year all in). That is expensive and you can submit to most of these directories via BrightLocal for just $2/$3 per directory. Got a different viewpoint on this subject or some useful insights you want to share? We’re interested in publishing unique content written by smart marketeers on our blog. Contact us with your details and ideas and we’ll get back to you ASAP!